FutureFear: Driverless cars – HubNut – celebrating the average! I was astonished to discover last year that I like electric cars. There I was thinking of how much an internal combustion engine is a key part of the driving experience. Turns out I was wrong. Now though, all the talk seems to be about cars with no driving experience at all. This I dislike very much! I’m not sure why there’s such a fever about driverless cars at the moment. Perhaps it has something to do with Google getting involved, and their large promotional budget. Certainly, the news are going crazy about it today. I wish they wouldn’t! Driverless cars are nothing new really. Since the advent of the automatic gearbox, engineers have been trying to automate as much of the car as possible. 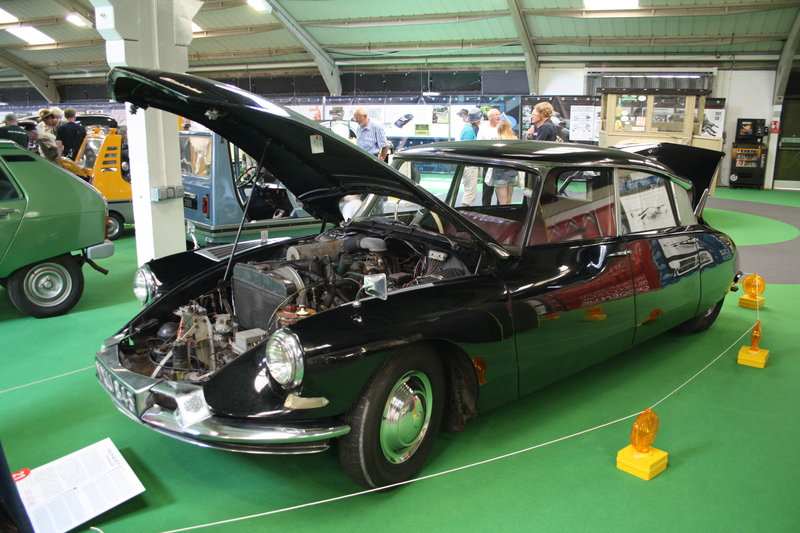 Arguably the first driverless car was a Citroen DS developed here in the UK. That used cables in the road for steering purposes though. Not very practical really. You can see why they chose a DS though – a futuristic car with a futuristic technology! You see, it’s quite difficult to replace the human brain. Robots and computers are good at menial tasks, or crunching a lot of data. But driving a car is not a simple process. If it was, we would have got around the task by employing chauffeur monkeys by now. I’m sure of it. It doesn’t stop me from hating the idea of it. I like driving! Ok, so driving in traffic jams isn’t much fun, but I’d rather avoid the jams than find a more pleasurable way to drive in them. For a start, I get nervous enough as a passenger in a human-driven car – even when that car is an AC Cobra being driven around the Silverstone Race Circuit by a very experienced driver. I still felt like asking him whether this was perhaps a bit too quick. It’s a control thing. I can just about cope with an automatic gearbox – if it behaves in a manner I expect – but the idea of a car driven by technology fills me with horror. If technology was that good, we wouldn’t need airline pilots, train drivers or captains on ships. Computers are quick, but can they really make the sort of judgements driving requires? I’m not sure it’d be any safer for us actual drivers if the roads were filled with driverless cars either. Computers go wrong. A safe process would be for the car to stop if it detected an error. Would we find ourselves swerving around rapidly-stopping cars? Would a computer-driven car be more or less predictable than a human? Frankly, if you want to get somewhere without the ‘tiresome’ business of driving a car, do us motorists a favour. Leave the car at home and catch the bus. They’re amazing. You just sit there and end up at your destination with no work at all! It’s true.